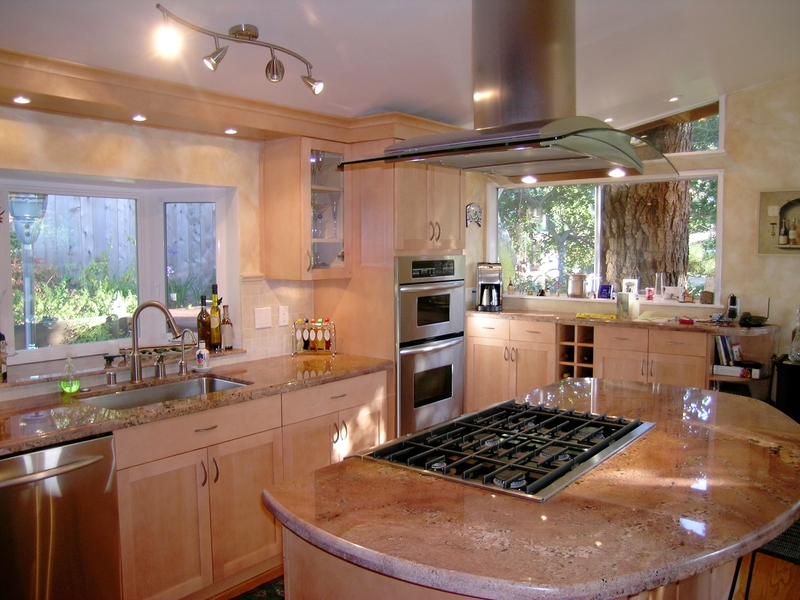 Marin County’s Home Improvement Specialist. Golden Restoration and Construction, Inc. is a full service contracting company specializing in remodeling, home improvement and construction renovation. Our mission is to help our clients with cost effective solutions that help complete projects in a timely manner. We have over 20 years of collective experience and specialize in home improvement. Our experts design and build room additions, bathrooms, kitchens, retaining walls, fences, redwood decks, and can recommend the best materials. Our experienced workers pay attention to every detail. We are also proficient with tile, marble, electrical work, plumbing, painting, stairs, skylights, stucco, and drywall. From general repairs, additions and concrete work to masonry and landscaping. Our experts will design and build your retaining walls, fences, redwood decks and recommend the best materials for your roof, gutters, kitchen, tile and marble. Our painters are experienced and pay attention to the smallest of details. We also specialize in electrical work, plumbing, bathrooms, stairs, skylights, stucco and drywall. From new construction to remodeling, when you think construction, Think GOLDEN! We carry all necessary state and local licensing, bonds and general liability insurances for your protection. We provide an impressive reference list of completed jobs. A list of satisfied current local customers is available upon request. We also work with CSAA (Preferrable Contractor Provider), Fireman’s Fund, and Safeco Insurance Companies – specializes in all insurance related damage, including water and fire related issues. Golden Restoration and Construction is proud to be a member of both the Marin Builder Association and the Better Business Bureau (2008 Honor roll – Honor roll 8 years in a row)! We cannot say enough about Golden Restoration! Gary and his team are top notch! We had two bathrooms remodeled and both exceeded our expectations. The level of professionalism was really impressive. Gary’s guys, Javier and Francisco showed up each day on time and their work was impeccable! Golden is extremely competitive with their prices and they stay until the job is finished. Golden Construction has done maintenance on my home and they did a great job! The contractors showed on time and they did quality work. I have since recommended them to my clients and they have all been very pleased.” – Marlys H.
“I started with someone else and the job was about half done. Golden came in and finished the job. I think they did an excellent job.” – Charles N., Mill Valley. The mission of Golden Restoration and Construction, Inc. is to get our client back into a place of normalcy as soon as possible. Please contact us for a FREE in-home consultation & estimate on your next project. Read more about Golden in this PDF article.